With Karen R. Koenig, LCSW, M.Ed. She is a psychotherapist who has specialized in eating psychology . 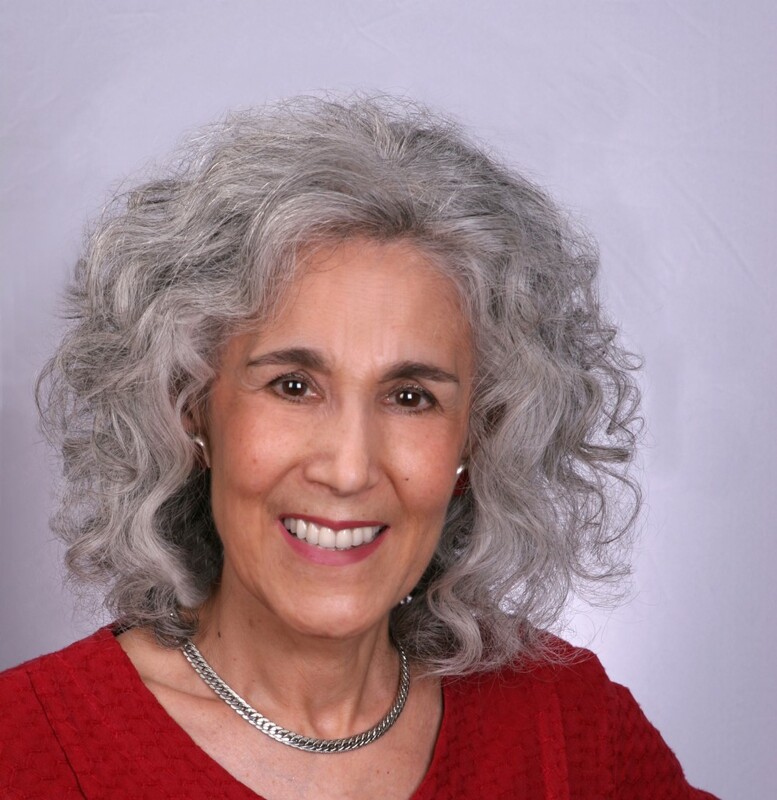 I had the pleasure of interviewing Karen R. Koenig, LCSW, M.Ed. She is a psychotherapist who has specialized in eating psychology — the how and why of eating — for over 30 years. A popular blogger and health educator, she’s also the award-winning, international author of seven books on eating, weight and body image. 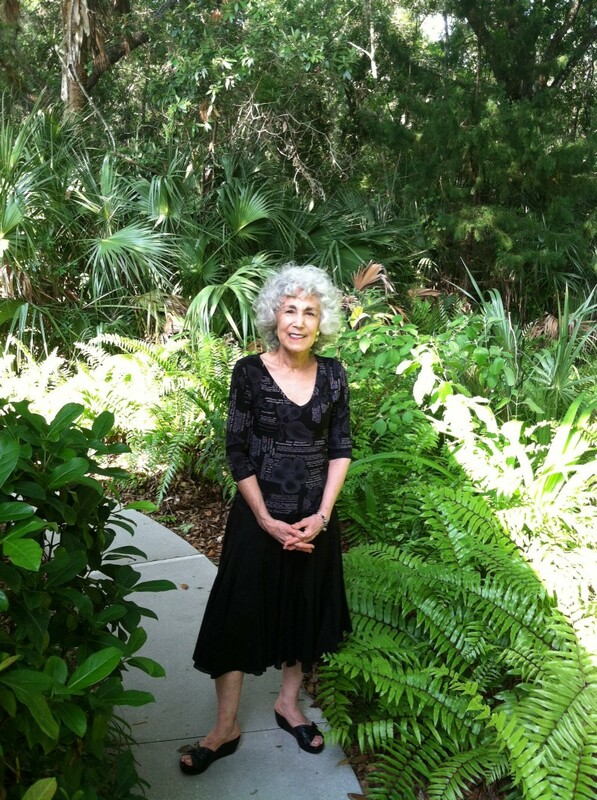 At 71, recovered for more than half a lifetime from chronic dieting, binge-eating and bulimia, she lives, writes and practices in Sarasota, FL and her website is http://www.karenrkoenig.com. I would never have believed back when I was starving myself on an apple a day or polishing off an apple pie in one sitting that I would have ended up being an eating disorders therapist. I was such an emotional mess back then. But, slowly, by reading self-help books and books about how to stop dieting and make peace with food, I began to see the light. I’ve always been a firm believer that if others can find and follow a path to recovery, I can follow it and get there. Gradually that’s what happened. I was fiercely determined to have a positive relationship with food and would do whatever it took, which led me into therapy. Recovery became my primary focus, above all else. I stopped restricting what I ate, practiced bringing challenging foods into the house, did more planning ahead with food so I wouldn’t be overly hungry, brought home more doggie bags, ate more mindfully, and learned how to give myself comfort and pleasure without running to the cookie jar. After being an elementary school teacher, administrative assistant, typist, and ad agency traffic manager, I decided to become what I’d yearned to be since adolescence, a psychotherapist, so that I could help others recover from their eating problems. I worked with a friend at her company which taught “normal” eating, went to graduate school in social work, and started working in the mental health field. Eventually I opened my own practice, in part, to have time to write books about what I’d learned about recovering from dysregulated eating. I kept writing and seeing clients and here I am at 71, full steam ahead on my mission to help troubled eaters have a positive relationship with food and their bodies. It took several years of paying strict attention to appetite cues and actively pursuing mental health strategies to overcome my food problems. For about a year and a half as a young adult I had bulimia, which is what pushed me into therapy for my bingeing and overeating. I’d been helped by therapy before and am fortunate that I was someone who can comfortably ask for help. In fact, uncommonly for a child of the Fifties, I begged my parents to get me into therapy when I was 14 and they did. I returned on and off in my 20s, 30s, and 40s. Aside from my binge-eating problems, I had somewhat low self-esteem and was unskilled in taking care of my emotions without turning to food or, for a time, drink. I was unhappy being single and didn’t find true love until my late 30s. I had jobs that would never lead to a satisfying career and felt dissatisfied work-wise until I decided to become a therapist. In truth, it took me until my fourth decade of life to blossom and I’ve continued to grow happier and healthier as the years have gone by. By the time I became a therapist, I was in good shape mental health-wise. Having overcome previous issues has made me a better therapist, able to identify with many of the problems clients bring to me, eating and otherwise, and help resolve them. Can you share five pieces of advice to other doctors/healers to help their patients to thrive? Coming down off their pedestals while still maintaining clear, appropriate, professional boundaries. This means letting clients know that they too have struggled, not necessarily by divulging personal details, but by trying hard not to appear perfect. It’s important that they give the message to clients that they too have suffered, have gone through a process to become who they are, and that they weren’t simply born lucky. Being compassionate. The word basically means meeting suffering with kindness. It goes beyond empathy which is identifying with and understanding someone’s experience. Compassion means feeling badly for their suffering and expressing these sentiments. Even if clients have done something horribly wrong, if they’re suffering over it, they deserve compassion. Therapists often fear that compassion means not ensuring that clients take responsibility for their actions and letting them off the hook. It merely means hurting for them and helping them feel compassion for themselves. Modeling the behavior they want to instill in clients. I go out of my way to apologize for mistakes I’ve made in such a way that clients know I don’t think I’m a bad person because of what I’ve done. I often purposely joke about something stupid I did and show compassion for myself for it. Therapists would benefit from being less hard on themselves if they want their clients to be less hard on themselves. Honesty counts. When therapists feel angry and it’s obvious that they are, it’s beneficial to acknowledge it. This models honest reflection for clients. When therapists want to teach clients to be curious about themselves, clinicians need to allow themselves to be curious about them and enter every session willing to learn new things and even be surprised by their clients. Not working harder than clients do. I learned this lesson in social work school and need to keep it in mind still. Our inclination as helpers is to help and fix, but our goal as professionals is to teach our clients how to help and fix themselves. Don’t push or pressure. Use motivational interviewing skills to get clients to a place where they want to move forward for themselves. Be patient and let them go at a snail’s pace if that’s as fast as they’re able to go. Understanding that eating disorders are not only about food. They are about societal pressure to be thin, having suffered trauma, lacking effective life skills, being conflicted about unresolved intrapsychic and interpersonal issues, having irrational beliefs, and not possessing healthy personality traits to manage life’s ups and downs. The worst thing that therapists can do is to put clients on diets, which scientific studies tell us promote bingeing and rebound weight gain. Therapists will only help their eating dysregulated clients thrive when they provide the comprehensive treatment they need, including focusing on eating and health, not weight. More transparency about the lives of people who are perceived as happy and successful can only help all members of society. In particular, it would decrease clients viewing themselves as “defective and broken” and their therapists (wrongly) as “fixed” and 100% mentally healthy. Many therapists, I’m sure, are still ashamed of the mistakes and shambles they’ve made of parts of their lives. It’s crucial that clients see their treaters as transformed by the same process that they’re engaged in, that is, honest reflection, resolving old issues, trying out healthier strategies, and making mistakes but getting better all the time. Transparency is particularly essential in the field of eating disorders. Dysregulated eaters seek out and learn from memoirs of people who’ve binged, purged, starved themselves, and had distorted body image. This population is helped enormously by recognizing that they are not alone, can be helped, and that other people have overcome the problems they’re struggling with. It gives them hope. It’s one thing to have peers offer their stories and quite another to have therapists write and talk about their recoveries openly and honestly. Not surprisingly, much of my eating disorder was about trying to not feel or to lessen pain — whatever kind of unhappiness I was experiencing. This quote hit me hard when I read it because it opened my eyes to the fact that dysregulated eating was causing me great pain, even though I was using it to try to avoid sadness, loneliness, etc. I could see how ridiculous that was and liked the empowering idea of choosing our pain rather than trying to escape from it. After reading Laing’s quote, I began to see running away from my feelings as a fruitless and self-wounding endeavor. It’s the one serious quote I have in my office and it’s quite a conversation-starter with clients. The movement I would want to inspire — the Anti-Diet Movement — is already in full force and has been since the 1980s. In fact, recovery from my eating disorder began by picking up Fat Is a Feminist Issue: The Anti-Diet Guide for Women(also released as Fat Is a Feminist Issue:A Self-help Guide for Compulsive Eaters)by British psychotherapist Susie Orbach. It was one of the first books written at the start of the anti-diet movement, and it started a revolution that is now decades old and thriving worldwide. This movement has been joined by the Intuitive Eating and Mindful Eating movements. Since the 1980s, scores of books, including seven of my own, have been written to educate the public about how and why weight-loss diets fail long-term. Scientific studies illustrate how diets first help us shed pounds, then eventually prompt us to regain it and then some due to deprivation, rebound eating, and biological and metabolic forces. Studies on the long-term success rates for weight loss in groups like Overeaters Anonymous, Weight Watchers, and Jenny Craig are abysmal and are reinforced by follow-up studies of how participants from TV’s “The Biggest Losers” are doing: all but one has regained lost weight. 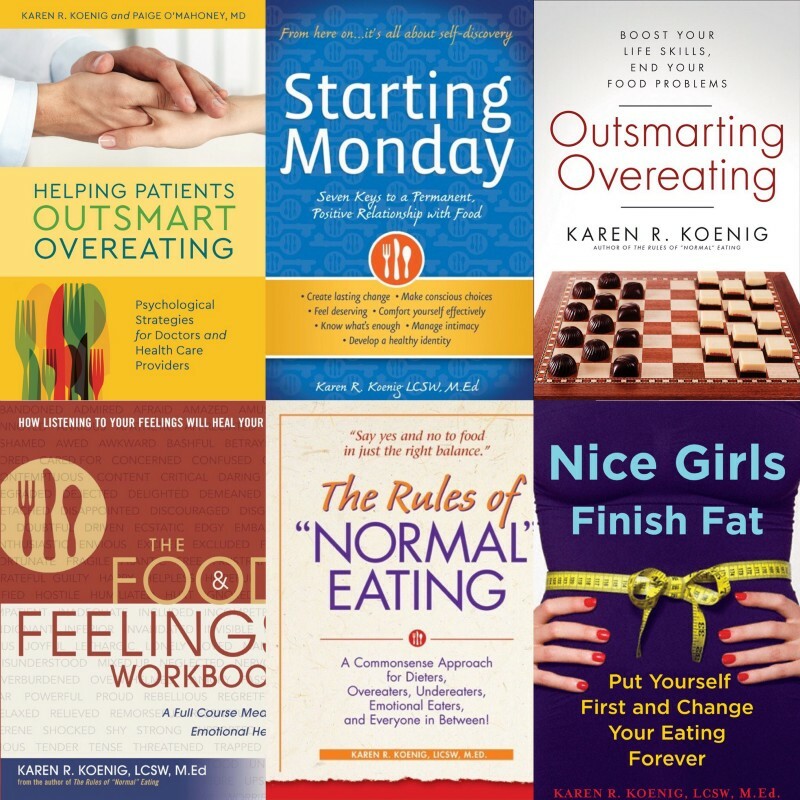 My latest book, Helping Patients Outsmart Overeating: Psychological Strategies for Doctors and Health Care Providers, is part of the Anti-diet, Intuitive Eating and Mindful Eating movements. It is co-authored by recovered dieter Paige O’Mahoney, M.D., and teaches doctors, health professionals and their high weight patients why diets don’t work long-term and what does: eating according to appetite cues, ditching the good/bad diet mentality and a weight-loss focus, purusing health and fitness goals, resolving trauma and improving self-care, learning life skills and developing personality traits to manage life without turning to food.